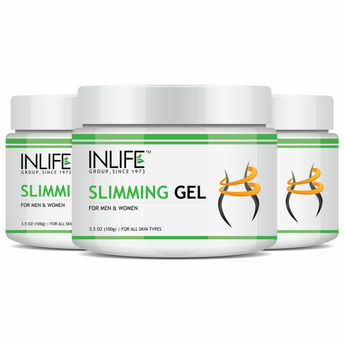 INLIFE Slimming Gel is enriched with natural herbal extracts that support tightening of sagging skin by breaking up the fat underneath the skin in the areas of abdomen, hips, thighs and underarms. The active ingredients present in this gel helps in toning your skin and also promotes restoration of skin elasticity. Explore the entire range of Anti-Cellulite Creams available on Nykaa. Shop more Inlife products here.You can browse through the complete world of Inlife Anti-Cellulite Creams .